A group of 10 mayors from municipalities across Montgomery County signed a public letter of support on Wednesday for Mark Barbee, their peer from Bridgeport who’s faced tumult since taking office in January. The letter came two days after a PhillyVoice article chronicled death threats and racist comments leveled at the 29-year-old Barbee, the tiny borough’s first-ever gay African-American mayor, and one day after Borough Council unanimously passed a resolution decrying hate speech. “What is happening to Mayor Barbee is not normal nor should it ever be expected,” the letter read. “No one should be demonized or disrespected because of his or her race or sexuality. Nor should anyone be made an object of derision because of his or her gender, religion, national origin, or political perspective. Barbee said the support “means the world to me” after a couple of crazy days in Bridgeport. Dr. Aidsand F. Wright-Riggins, the mayor of Collegeville, said word traveled in the mayoral community after the initial story about Barbee was published on Monday, and they felt it necessary to leap to his defense. When we ran for office, we did so with the goals of strengthening our communities through an active and engaged mayor’s office and providing a positive and protective voice for all our residents. 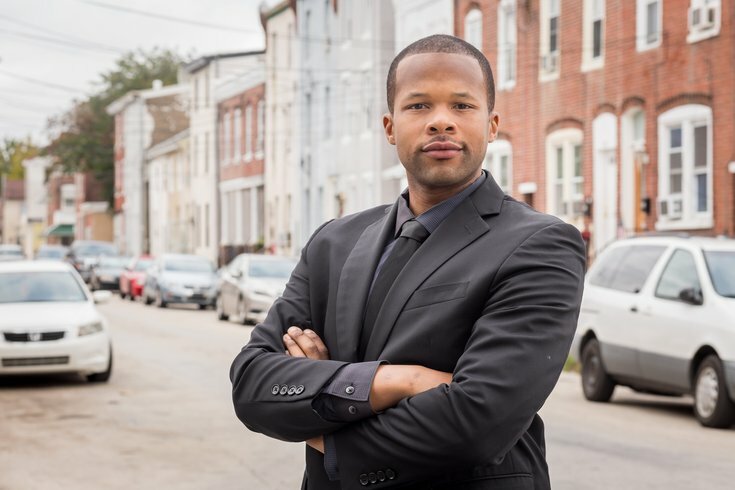 On September 24, 2018 the PhillyVoice ran an article describing how, one of our colleagues, twenty-nine year old Mark Barbee, the first openly gay and first African American mayor of Bridgeport Borough has bravely faced death threats, profane tirades at public meetings, and a plethora of racially charged and homophobic comments. From our perspective, only nine months into his term, Mayor Barbee has exerted consistent energy to revitalize a borough going through economic, political, and demographic transitions. We are keenly aware that disagreements within government are normal and to be expected. What is happening to Mayor Barbee, however, is not normal nor should it ever be expected. No one should be demonized or disrespected because of his or her race or sexuality. Nor should anyone be made an object of derision because of his or her gender, religion, national origin, or political perspective. We believe the clear majority of our boroughs’ populations feel the same as we do, but we also know that the vitriolic and hate spewing underground tends to be louder and more noticeable. Quoting Martin Luther King Jr., Mayor Barbee said to Bridgeport residents and Borough Council, "The time is always right to do what's right.” King initially shared these words in 1964, a bloody year in American history with riots in at least six American cities and the murder of three civil rights workers in Mississippi. Though our nation has taken many important steps in its fight for civil rights since the time of King, over the course of the last several years, our nation has become more fractured and therefore fragile. Violent, hateful speech damages not only persons but the very tendons of democracy. Mark Barbee is a strong individual who is standing up and still leading in the face of those who would harm him. We stand with him. • Take personal responsibility for what we say and feel without blaming others, realizing that our words and characterizations have consequences. • Examine our own assumptions and perceptions, knowing that we all see through the lens of our own experiences and privileges, that may be quite different than that of others. • Trust political and ideological ambiguity. Our aim is not to debate who is right or wrong, but what policies and programs will make our communities better places to work, live, and play. We stand for disagreements and challenging assumptions through respectful dialogue and considerate debate. We stand for our boroughs to be better in all facets. Thank you for joining us in this mission.